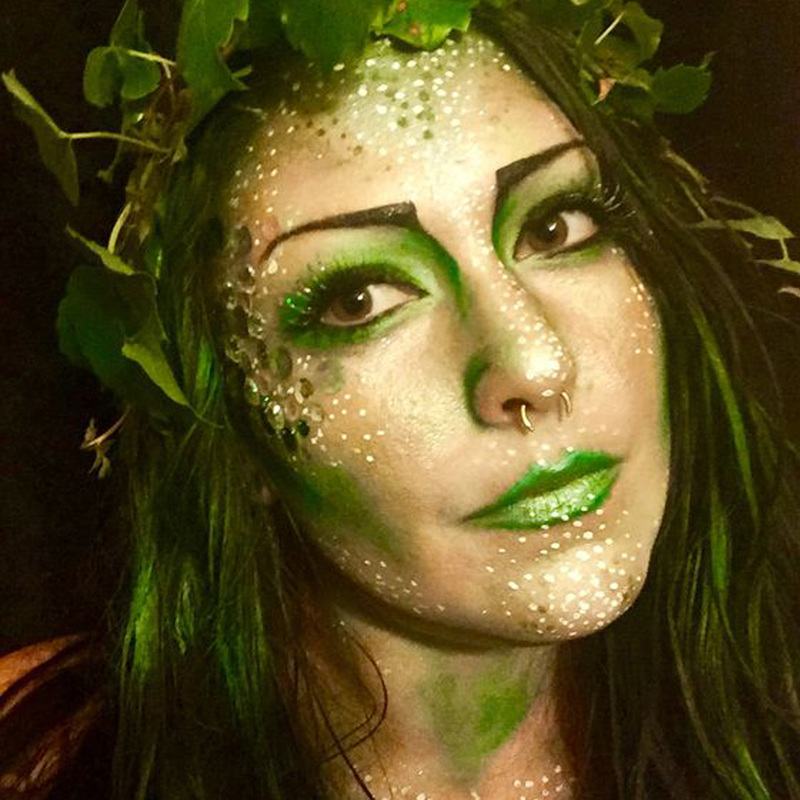 Need some makeup inspiration for Halloween? Halloween is only a couple of weeks away beauties. So it’s time to get our Halloween makeup sorted! Halloween costume ideas can be a bit tricky. Many (like myself) usually don't know what to do, leave it until the last minute and then slap on a bit of fake blood. With two weeks to go though, we have some time to plan. And luckily, there are some beauty-loving babes out there who are always prepared. They plan their Halloween makeup and then they post it so we can all see and get some inspiration. To make things easier, we've gathered up some of the best ones and put them in one place. If you're still feeling a little stuck after flicking through the photos, you could always swap in the fake blood for some glitter and highly-pigmented colours. They always go down a treat at Halloween. bh loves: Bodyography Luster Lux Glitter Pigments, MAC Pigment and Colour Addict Sparkle Spray. We love this look. Somehow it’s cute and a little scary! 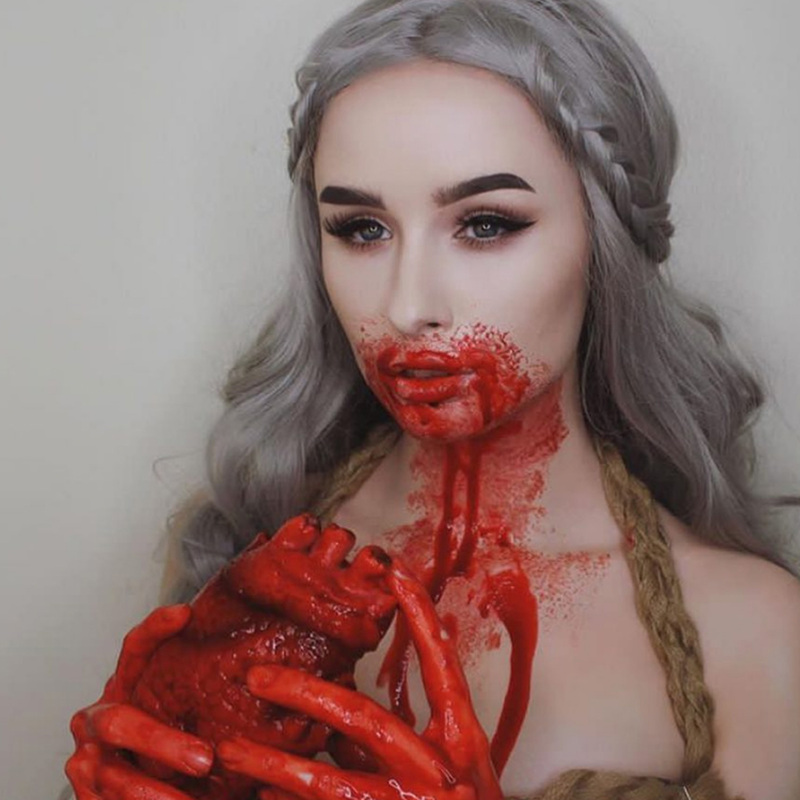 This Game Of Thrones-inspired look is super cool. Also, check out the winged liner and brows! This ethereal makeup look is amazing! 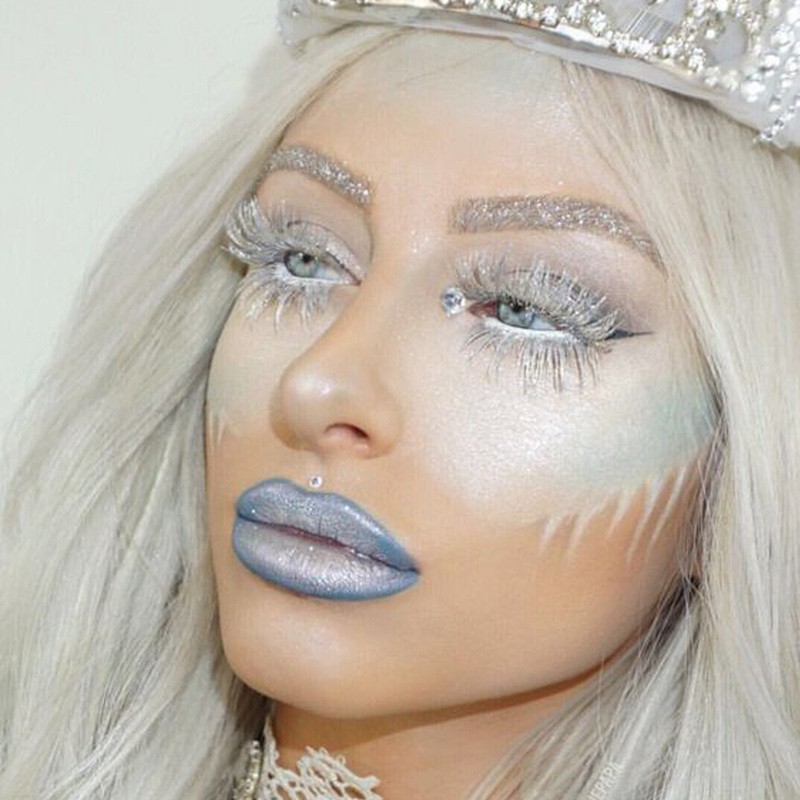 This ice queen look allows for a lot of glitter and we are ALL about that. 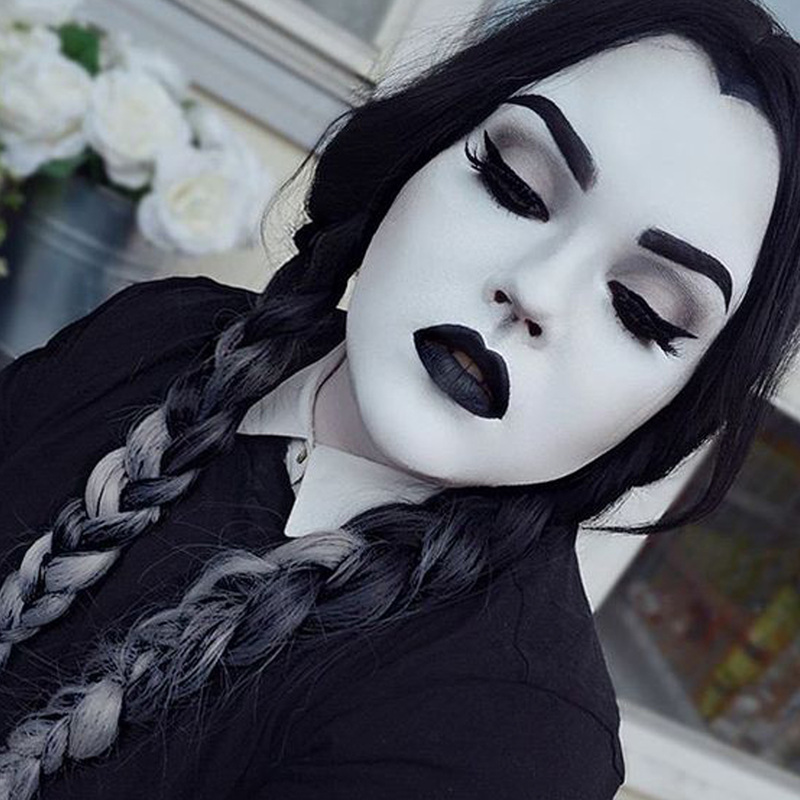 This Wednesday Addams look is killer! 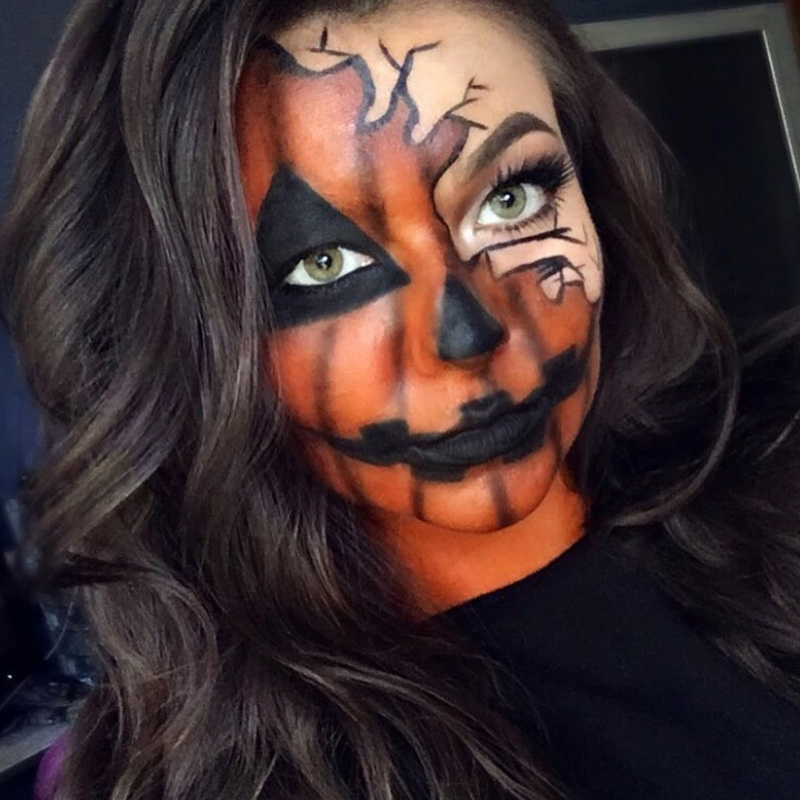 Makeup artist, Nina Villegas, created this cool pumpkin-inspired look. 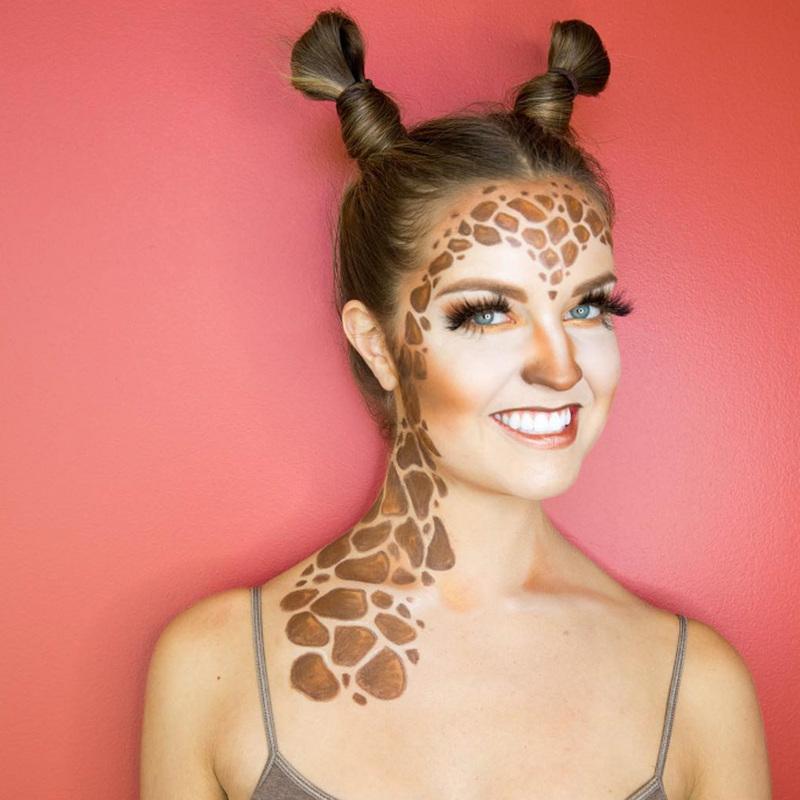 Blogger Nicole Renard created this cute giraffe look for Halloween. She even has a youtube tutorial up if you wanted to copy it! 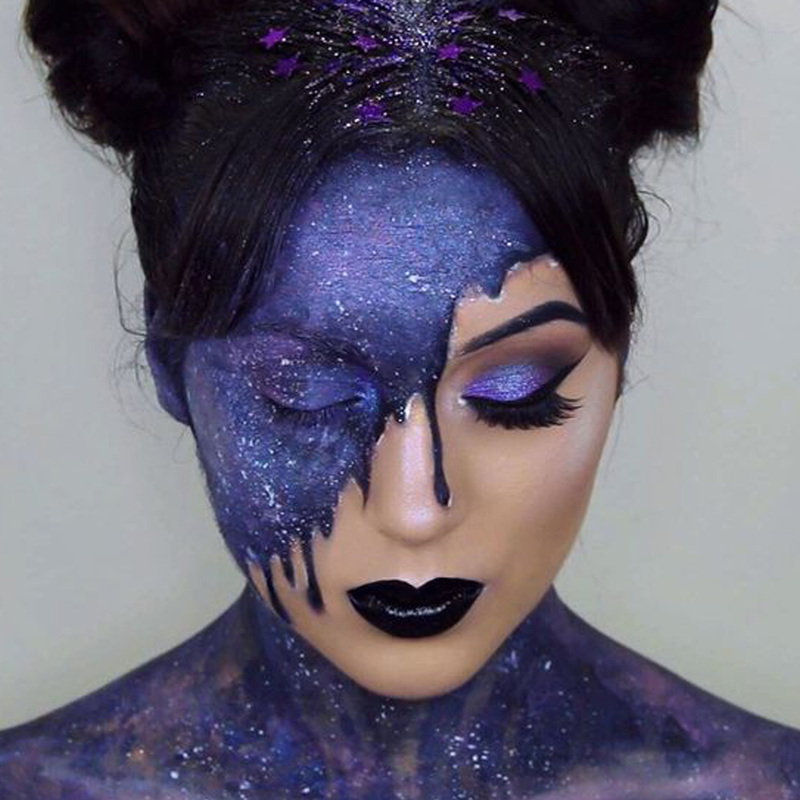 We love this intricate galaxy look. Her eye makeup is incredible!  What do you think of this Halloween makeup? Do you think you’d ever try anything like it? For haloween I went as a cat! It wasn’t very creative, but hey, it was fun! i wish that i saw this before halloween! I love the Galaxy and Wood Nymph ethereal looks! The giraffe look is sooo cute!! The ice queen is stunning, what a talented artist! Love that glam Cleopatra mummie look! The giraffe one is definitely a cute look but not a Halloween one & the other's aren't either these one's would be great for fancy dress that sort of thing. I'd say the Addams Family, Game of Thrones & the Pumpkin one would definitely make this cut- the Pumpkin look's like the devil on fire just like this movie I seen once that had Nicholas Cage in exactly the same with him, the Addams Family look is perfect for this & the Game of Thrones has the blood & all look's like she has eaten someone. These people have a lot of talent to do all of this. Love Halloween! These are very creative! There are some really cool looks here but I am not interested in Halloween. I love these looks not sure I could carry off most of them, I really like the Wednesday Adams black lips though. My son lives in New York and the Halloween parade there is just incredible. Absolutely love that mummy look. It is stunning and yet still has the scary element. What I don't understand is why people dress as princess etc for halloween. Isn't it supposed to be scary? I'm kind of feeling Wednesday Addams one and of course the Giraffe one is cute. the galaxy one is incredible! The Game of Thrones one still makes me sick! Great pics but I'll leave Halloween for the kids! Wow super talented. i wish I had time to organise these things. usually Halloween is a hectic time for me. Its my son's bday and since I work till late evening , I have to cram everything in. Trick treating, shopping for his cake , going out for dinner etc.. I did not do anything for Halloween but love the looks shown here. Very talented ladies who created these looks. The giraffe one is way too cute! I love the Wednesday Adams look! I think that's the only one I could manage! I hope all who love dressing up have a great time. I'm not vaguely interested and never have been. The mummy one looks amazing. I'm always blown away by the talent out there. The mummy and galaxy ones are amaaazing! The giraffe makeup was very cute, but my daughters love the gruesome makeup! Wow! these look great! I especially love the pumpkin! haha!! awesome! I think that will scare a few children! It is my son's bday today and all he is excited about is dressing up and going treat or tricking. OMG that Draenery Targaryen looks scary!!! The giraffe is cute! For Halloween I'm going as "Exhausted Mum sans makeup this is just my face." Cute! I love the mummy one! Creepy but cute! Some creative looks! I enjoy watching these creations on YouTube, but I don't do Halloween myself. Wow! Some people are so imaginative and talented! WOW! These pics are amazing. Now I have to choose what to go as. Really loved Wednesday Adams and the Pumpkin. Now I will have to see if I can re-create any of them. I love the Wednesday Adams one!! It's so cool seeing the black & white thing in person, I can't get over it.